Contact Us For All Your Gem Remotes Sales Installation And Repair Needs. RCS Electrical Services is your best solution provider for all your Gem Remotes sales installation and repair needs. If you are looking for a Gem Remotes for sale, go no further. We provide best Gem Remotes prices, most professional Gem Remotes installation, and best and most accurate Gem Remotes troubleshooting and repair in the industry. Click here to request Gem Remotes installation, repair or service. 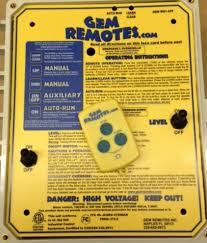 RCS Electrical Services sales, installs, and repairs the GR1 Gem Remotes control. This device is used to control personal water craft lifts. Normally it is used for jet skis or other small vessels. Be aware that this controller is designed to connect to only one electric motor. This controller includes one transmitter that can activate your lift for over 300 feet away. The Gem Remotes GR2 boat lift control system connects to a two electric motor boat lift installation. This unit comes equiped with a hand held transmitter, which can be used from a distance of over 300 feet to activate the Gem Remotes GR2 control panel. This device does not need a limit switch to operate. One disadvantage of this device is that you hare forced to continuously press the transmitter in order for the control panel to respond. Once you release the button, the boat lift motors will stop. To remedy this shortcoming, we recommend using instead the Gem Remotes GR2A. This device provides for a better experience as you approach your boat dock. The Gem Remotes GR2A provides for a completely automated operation of your boat lift. It does require that you buy and install a limit switch. The limit switch indicates to the controller where the lower and upper limits are for the positions of the boat lift. So you will have a predetermined stop position at the bottom and the top. It is necesary to calibrate and program the limit swtich so that the Gem Remotes control panel will stop the motors at the proper depth below the water, or correct heigth near the dock deck. The installation of the Gem Remotes GR2A is more costly, but your docking experience is much improved. The additional expense is related to the cost of additional limit switch installation. The Gem Remotes GR4 is the best boat lift controller to buy when it comes to controlling four motor boat lifts. RCS Electrical Services has these units for sale. We also install and repair these units when needed. This device has the ability to control external boat dock lighting and other devices through its transmitter. By adding a control board, The Gem Remotes GR4 is able to turn on boat dock lights from a distance of over three hundred feet. It is a good idea to buy an extra Gem Remotes transmitter. Don't forget to order an additional one when you make your request. Driving four electrical motors can tax normal 120 volt electrical circuits, often creating the need to install very large electrical conductors. It is recommended that the electrical wiring of this unit is done with 240 volts. One shortcoming of this device is that it is not able to automatically lift or lower your boat from the dock. You will need to press and hold the transmitter button until the boat reaches the upper or lower position you desire. If you wish to automatically operate your boat lift, with a single touch of a button, you will need to buy and install the Gem Remotes GR4A. RCS Electrical Services offers the GR4A Gem Remotes boat lift control system for sale. We also install and repair these units. This boat lift remote control unit comes equipped with additional circuitry that allows it to perform all of its functions automatically. The addition of a limit switch is necessary for the Gem Remotes GR4A to function properly. In addition, when you stand in front of the control panel, you have complete and individual control of all four motors via four dedicated control switches. This unit comes with one Gem Remotes transmitter. You will be well advised to order an additional one, to serve as back up in case you misplace the original one. Gem Remotes control panel are exposed to the weather everyday of the year, but during storm season, they can be stricken by lightning. Be sure to protect your unit with surge protectors. Inquire about this when you contact our office. 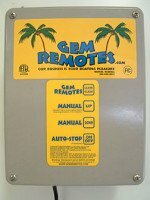 Click here if you need to buy, repair, or install a Gem Remotes GR4A control system for your boat lift. The Gem Remotes KFLS is called flat plate limit switch. 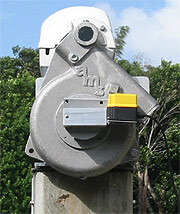 This is a sensor that indicates to the Gem Remotes control panel, the position of the boat lift. 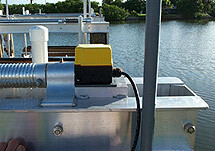 This sensor sends a signal whenever the boat lift reaches its lowest or highest allowed position. The Gem Remotes control panel stops the electric motors when this sensor reaches pre-programmed positions. 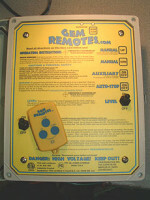 The Gem Remotes control panel GR2A and GR4A require this switch to operate properly. The Gem Remotes KRLS is called a rotary limit switch. Normally this switch is installed at the end of the top beam, and it is mechanically connected to the drive pipe. This is a sensor that indicates to the Gem Remotes control panel the position of the boat lift. 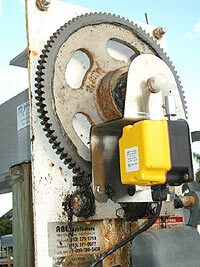 It sends a signal whenever the boat lift reaches its lowest or highest allowed position. 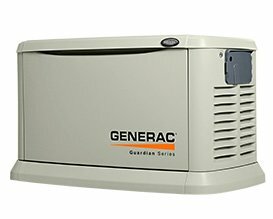 The Gem Remotes control panel stops the electric motors when this sensor reaches pre-programmed positions. The Gem Remotes KELS is called an E-Drive limit switch. It is another position indicating device that can connect to this unit. Normally this switch is installed at the end of the top beam, and it is mechanically connected to the drive motor. This is a sensor that indicates to the Gem Remotes control panel the position of the boat lift. It sends a signal whenever the boat lift reaches its lowest or highest allowed position. The Gem Remotes control panel stops the electric motors when this sensor reaches pre-programmed positions. 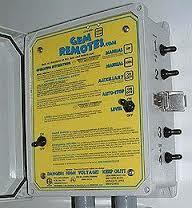 The Gem Remotes Transmitter is an essential part of your boat lift control system. You could operate the Gem Remotes control panel by opening its door and pressing the different command buttons, but this almost defeats the purpose of owning this device. The transmitter affords you the convenience of lowering your boat lift into the water before you have actually arrive at the dock. Don't forget to buy additional Gem Remotes transmitters, it can come in handy in those occasions when you misplace your main device. Click here to order new Gem Remotes transmitter.